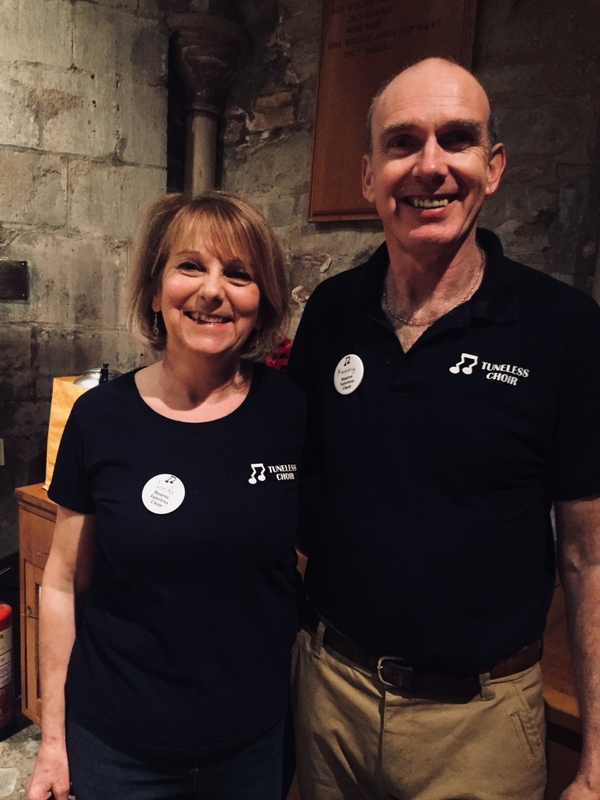 Bourne Tuneless Choir launched in October 2016, led by Ken Ring with Linda Gunthorp doing the organisation. Sessions are held weekly every Wednesday evening. Our session times are 7.30pm to 9pm. There is no choir on 6th March 2019. We start back on 13th March for our next 8 week block. Newcomers pay £10 for their first session, including registration with the choir. The regular price is £7 if you “pay as you go”, or you can pay in advance for a term for the equivalent of £5 per session – so £40 for the first term. If you have questions contact us by emailing bourne@tunelesschoir.com or calling Linda on 07949 057811. 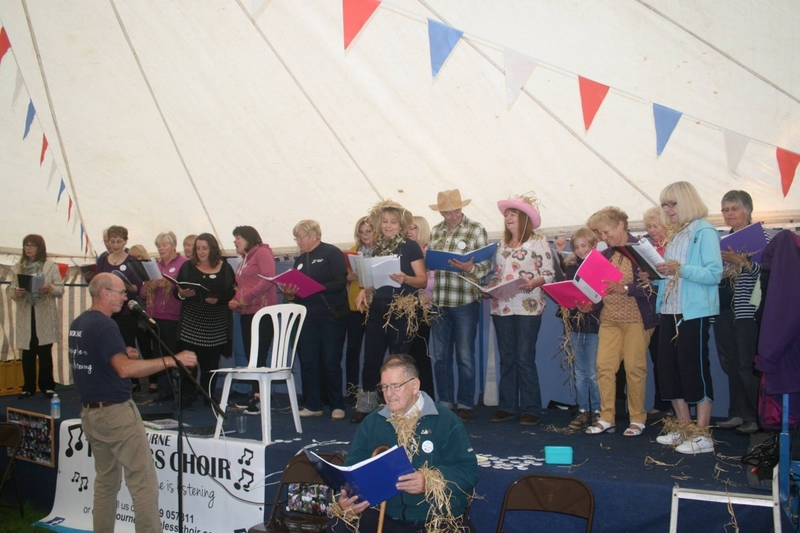 Singing at the Scarecrow Festival!